Drawn from the insights of RA experts Neal Wyatt and Joyce G. Saricks, these reseources for readers will help your library’s users find their next favorite book. Beginning with a quick overview of the genre, the pamphlet offers a list of key authors, both past and current, with recommended titles for getting started. 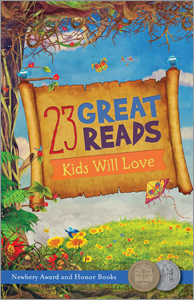 It concludes with a list of suggested titles in other genres that will encourage readers to expand their horizons. Designed to fit in commonly sized literature racks, they're also useful tools for your next RA interview. Patrons will be eager to start exploring your library’s collection even before they reach the last page! 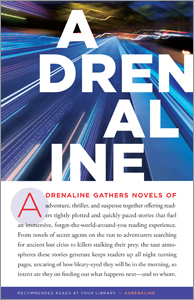 Adrenaline gathers novels of adventure, thriller, and suspense together offering readers tightly plotted and quickly paced stories that fuel an immersive, forget-the-world-around-you reading experience. From novels of secret agents on the run to adventurers searching for ancient lost cities to killers stalking their prey, the taut atmospheres these stories generate keeps readers up all night turning pages, uncaring of how bleary-eyed they will be in the morning, so intent are they on finding out what happens next — and to whom. 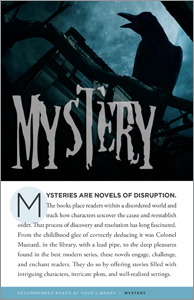 Mysteries are novels of disruption. The books place readers within a disordered world and track how characters uncover the cause and reestablish order. That process of discovery and resolution has long fascinated. From the childhood glee of correctly deducing it was Colonel Mustard, in the library, with a lead pipe, to the deep pleasures found in the best modern series, these novels engage, challenge, and enchant readers. They do so by offering stories filled with intriguing characters, intricate plots, and well-realized settings. 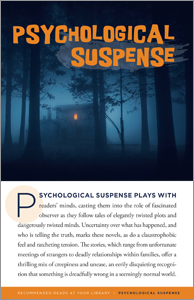 Psychological Suspense plays with readers’ minds, casting them into the role of fascinated observer as they follow tales of elegantly twisted plots and dangerously twisted minds. Uncertainty over what has happened, and who is telling the truth, marks these novels, as do a claustrophobic feel and ratcheting tension. The stories, which range from unfortunate meetings of strangers to deadly relationships within families, offer a thrilling mix of creepiness and unease, an eerily disquieting recognition that something is dreadfully wrong in a seemingly normal world. 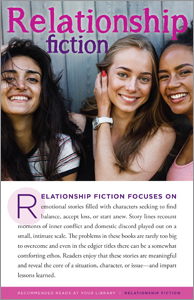 Relationship Fiction focuses on emotional stories filled with characters seeking to find balance, accept loss, or start anew. Story lines recount moments of inner conflict and domestic discord played out on a small, intimate scale. The problems in these books are rarely too big to overcome and even in the edgier titles there can be a somewhat comforting ethos. Readers enjoy that these stories are meaningful and reveal the core of a situation, character, or issue — and impart lessons learned. 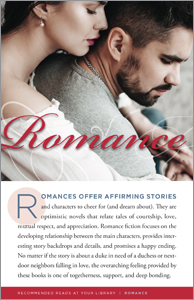 Romances offer affirming stories and characters to cheer for (and dream about). They are optimistic novels that relate tales of courtship, love, mutual respect, and appreciation. Romance fiction focuses on the developing relationship between the main characters, provides interesting story backdrops and details, and promises a happy ending. No matter if the story is about a duke in need of a duchess or next-door neighbors falling in love, the overarching feeling provided by these books is one of togetherness, support, and deep bonding. 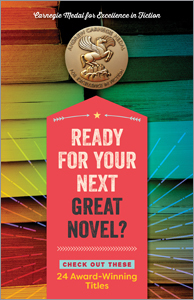 Ready for your next great novel? 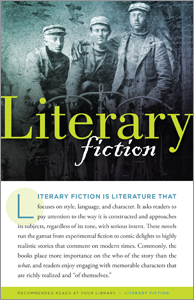 This pamphlet spotlights 24 titles awarded the Andrew Carnegie Medal for Excellence in Fiction. Looking for something notable in nonfiction? 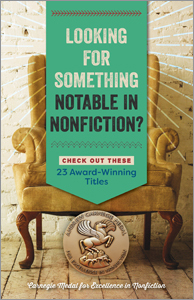 This pamphlet spotlights 23 titles awarded the Andrew Carnegie Medal for Excellence in Nonfiction. 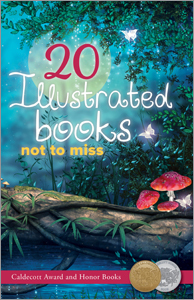 "20 Illustrated Books Not to Miss" presents a selection of hand-picked Caldecott Award and Honor books that are sure to please children and adults alike! "23 Great Reads Kids Will Love" presents a selection of hand-picked Newbery Award and Honor books that are sure to please children and adults alike!